Editor’s note: Kerry brown is executive director of the China Studies Center at the University of Sydney and associate fellow at Chatham House. The views expressed are his own. Reports suggesting that India withdrew from a planned naval exercise with the United States last month out of fears it might upset Beijing are only the latest reason to grapple with an increasingly pertinent question: What are the costs these days of hurting the feelings of the Chinese people? 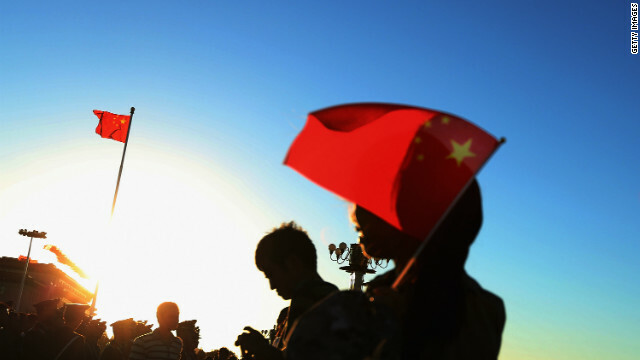 Finding the answer to this question – and a way to overcome associated potential problems – has become ever more urgent as China’s perceived assertiveness has grown. And two recent diplomatic spats in particular are worth paying attention to: the fights China has picked with Britain and Norway. Both involved differences over values and human rights. Both saw a stiff political response from Beijing. And both say much about China’s changing role in the international system. For the U.K., the trigger was British Prime Minister David Cameron’s meeting with the Dalai Lama in London last May. Almost immediately, high level visits from China were pulled. The former head of the National People’s Congress and second ranking member of the Politburo Standing Committee at the time, Wu Bangguo, cancelled a visit. Over the ensuing months, there were no further high level visits. Last month, it was reported that Cameron had dropped a planned trip to Beijing because there were no promises he would be met at the right level. In view of the warm reception accorded earlier in the month to President Francois Hollande, this would have been a bitter pill to swallow. Strangely, though, trade during this rocky period has carried on just fine. China's exports to Britain rose by 4.9 percent to $46.3 billion, according to a report in the China Daily, while “imports from Britain jumped 15.5 percent year on year to $16.8 billion, with growth ranking first among major trade partners in the European Union.” China may be upset, but has still been willing to engage – just not with the prime minister. This point was underscored in Beijing’s dealings with Norway, which found itself in the dog house after the Nobel Peace Prize was awarded to Chinese dissident Liu Xiaobo in late 2010. This was despite patient explanations by the Norwegian government that the award was nothing to do with them. Ministerial and official visits effectively came to a halt until early this year. Yet similar to the British case, trade rose by 19 percent between 2011 and 2012. These two cases raise a number of questions, not least how we should interpret the freezing of top level political links even as most other areas – business, educational exchanges, and cultural activities – have seemed to continue largely as normal. One interpretation is that Beijing’s approach reflects a realization that China simply does not value official visits the way it once did. For years after China really started opening up in the 1980s, there was a belief that government involvement in trade and other matters was essential. Ministers from across the globe swarmed to Beijing, and a diplomatic industry grew up looking after them. But the treatment of Norway and the U.K. suggests that we may now have entered an age of the withering away of the official visit, where business people, academics and others are just allowed to get on with it. Yes, there will always be a need for some official involvement and high level engagement, but nothing like as intense as in the past. A more pressing question for other governments, though, is how to respond to China’s displeasure. The U.K., for a start, might well now want to see questions about the acceptability of its treatment raised more aggressively through the European Union. After all, it is clear from so much of China’s own diplomatic behavior that there is safety in numbers. This is precisely why on contentious issues that it is best for a bloc like the EU to stick together and speak as one on the issues that matter most to it. For all the internal differences over how to handle China on tough values and political issues, the EU should use its various high level political dialogues to argue that picking on one is unacceptable to all. (And, though Norway isn’t a member, it wouldn’t do the EU any harm to show a little support for the country). This sort of solidarity might even convert a few of the skeptics in the EU to the value of being a part of the Union. But there is a final lesson from these two cases – it is clear that other governments have yet to find a constructive way of engaging on sensitive issues that really irritate Beijing, whether it be minority border areas, the treatment of certain dissidents or the whole discussion of human rights. It’s true that upsetting China might not always have an impact on trade, but perhaps we can think of smarter and better ways of getting our point across to key groups within China on the political and social value issues that matter most to us. That, after all, is one of the main points of diplomacy, isn’t it? « Previous entryWill Pakistan seize chance on human rights?